I love helping people to #getmindandbodyfit. It’s what I do! The Aurora Mind and Body website is full of information on how I can help you and how I ensure you receive the best possible hypno-psychotherapy and yoga. In agreeing to work with me you’ll also incur some responsibilities of your own and these terms and conditions come into play as soon as we agree to meet or you book onto a class. People who fail to turn up can leave me out of pocket as in most cases I have to pay for studios and treatment rooms, and also travel to the venue. This is why I take a £10 non-refundable deposit for each one-to-one session. Once we’ve begun working together, I may forego the £10 deposit but this will be at my discretion. Any sessions cancelled with less than 48 hours notice will incur a charge of the full treatment fee. I will of course exercise discretion for late notice cancellations should there be a genuine emergency. Please try to give 24 hours notice of cancellation so your place can be offered to someone else. While I understand that ‘life happens’, repeated no-shows which prevent others from securing a space when classes are full, may incur a booking penalty. There will be no refunds for non-attendance if you have paid for class in advance but you may use the payment to attend a future class. We can’t avoid the occasional traffic jam but if you’re late, I reserve the right to stick to our agreed session time. Please do your best to be on time for every session as the quality of what we’re able to achieve can often be impaired by lateness. If you are slightly late to class, please be as quiet as possible when you come in. If you arrive after the warm-up, please don’t be offended if I ask you to leave the class, even if you think you’re already warmed up. This is for your own safety as I need to be sure you have warmed up in the right way. Payment options for our private sessions and classes are detailed on the Aurora Mind and Body website. Payment is expected at the end of your session. I hope I never come across a client who refuses to pay for their session but should this happen, failure to pay outstanding fees within a reasonable period of time will result in action being taken through the small claims court. Refunds aren’t given for previous sessions but you may leave your session early and without paying your remaining balance if you believe my conduct or service falls below acceptable standards. All payments for yoga classes are taken at the time of the class. You can pay in advance via the Aurora Mind and Body website if you wish. I’m not a doctor and therefore I am unable to provide medical advice or advise on whether it’s safe for you to participate with a specific medical condition. You must consult your healthcare professional regarding all medical issues. The content on this site is for informational purposes only and is not intended to be a substitute for professional medical advice, diagnosis, or treatment. Any material or information detailed on this site is also not intended to diagnose, treat, cure or protect against any disease or illness. It’s my experience that hypno-psychotherapy and yoga can provide many beneficial effects, however, they do not substitute medical attention. I tailor private hypno-psychotherapy and yoga sessions to your individual requirements. However, successful outcomes cannot be guaranteed. I make no promises that I can help you, however, I promise I will do my best to help you. What you are paying for is my professional time and not necessarily a ‘cure’. You attend any of our sessions at your own risk. Any medical conditions you have should be cleared by your healthcare professional before you start exercising. I can also provide you with a form detailing the types of movements we do in yoga should you wish to consult your doctor about whether yoga is a suitable form of exercise for you. While I can offer some modifications and alternatives to make your class/session more comfortable, your doctor is the best person to advise on what’s safe for you. If I believe it’s therapeutic for us to have contact between sessions, we’ll agree this between us. However, such contact will always be at my discretion. Therapeutic boundaries are there for a reason and it’s important to respect these. In some instances I will ask you to do some homework in between sessions. It’s up to you to undertake these tasks in order to gain positive benefit and progression in your treatment and recovery. Never listen to or play hypnosis tracks or audio whilst driving or operating equipment. Always select an environment that is safe and secure. Any audio products have been developed to assist you and give no guarantee of a successful outcome. 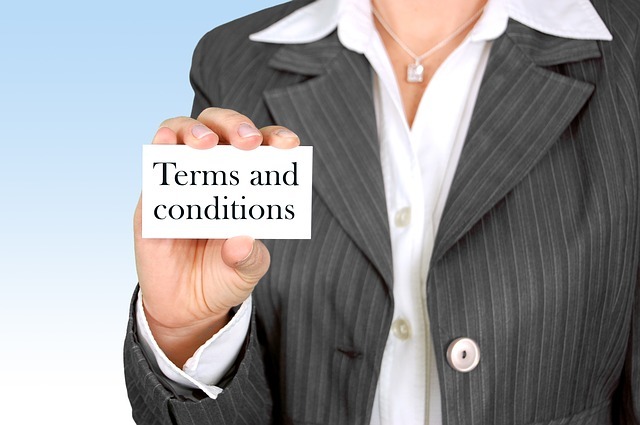 If you have any questions about these terms and conditions or disclaimer, please do not hesitate to get in touch.